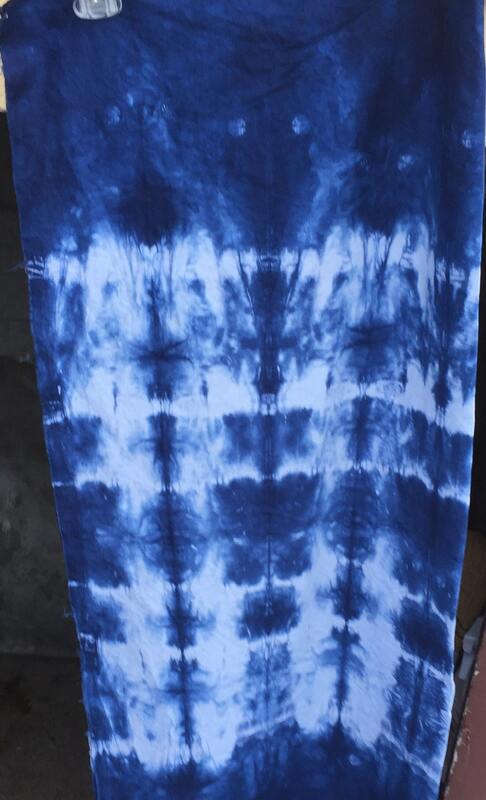 Essex linen cotton blend, 55% linen, 45% cotton. 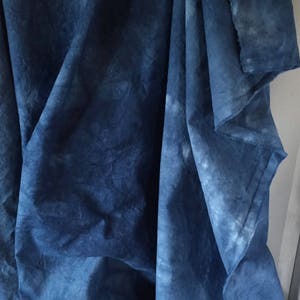 by Robert Kaufman. 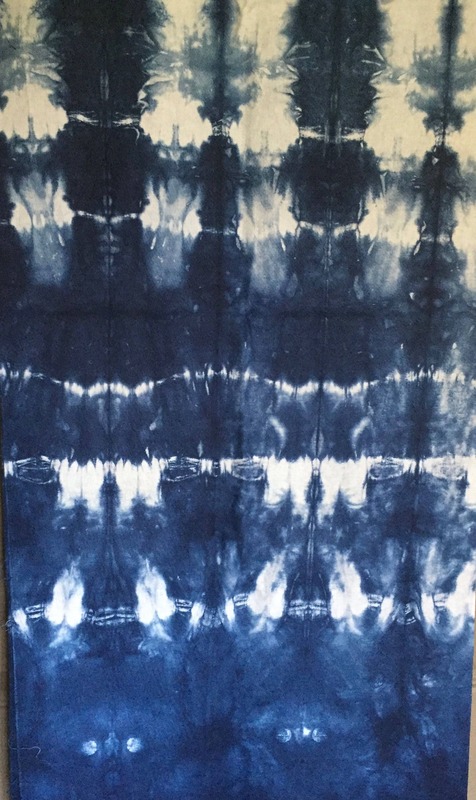 43' wide. 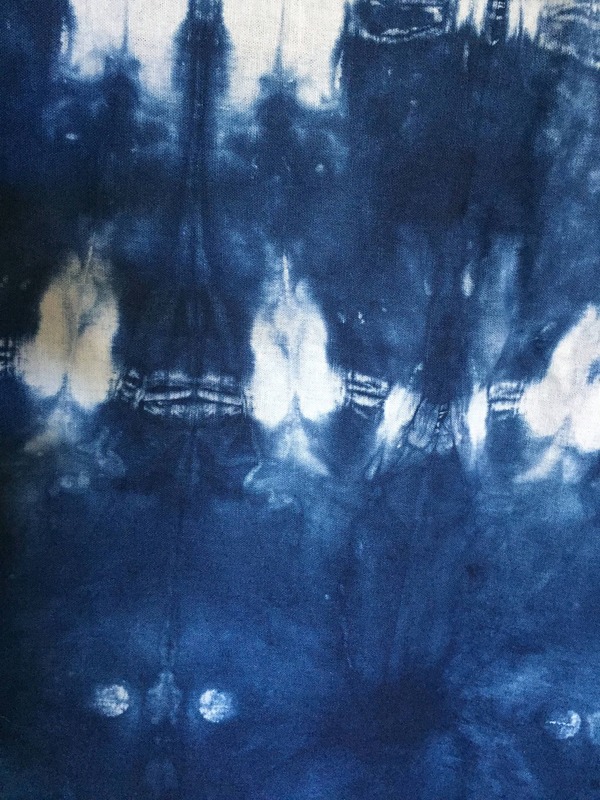 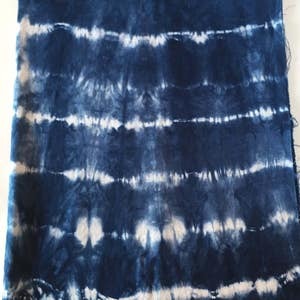 Dyed Indigo Blue, using shibori techniques of bands and pins. 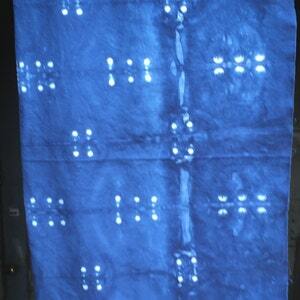 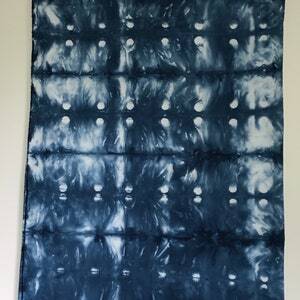 Kona Cotton (KC1.1) round dots, hand dyed, indigo blue shibori, 1 yard, no two exactly alike.